If you haven't already, register now for a free account to stay right on top of the Chappaqua real estate market. Get email alerts as soon as new listings for Chappaqua homes come on the market. 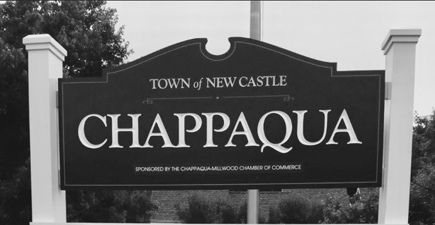 With widespread historic landmarks and sites, Chappaqua honors its past and has a vision for the future. The listings you see on this page are listings in the PO 10514 Chappaqua area , which may include some Mount Pleasant addresses. The Chappaqua Real Estate market is quite diverse. With prices ranging from $650,000 to over $15 million, you will typically find a wide variety of Chappaqua homes, condos or lots for sale. There are private, gated estates set on several acres, and vintage Colonials that have been carefully renovated to blend the details of the period with the best of modern conveniences. Find newer homes in sought-after neighborhoods such as Inglenook Farm or Hardscrabble Lake,and estate homesites that are ready and waiting for your custom home. There are numerous opportunities for either having a custom home built to your specifications, or to go with any of the many builders plans, on the many available lots for sale in areas such as Whippoorwill, Point Place, Lawrence Farms or Heathcote Estates. These new homes will typically be over 6,000 square feet in size, with 4 or 5 bedrooms and at least as many baths, feature chefs kitchens and have the attention to detail you want for a quality home. In addition to these grand estate properties you can also find a variety of Chappaqua homes for sale with listing prices starting around the $600K price point, up to around one million dollars. These homes typically will have at least four to five bedrooms and up to four baths in various Colonial styles that include Farmhouse, Mediterranean, Nantucket and Classic Center Hall. A few homes listing for less than $600,000 may have two or three bedrooms. You will also find beautiful Contemporary styled homes. Homes built in the late 1800’s and early 1900’s typically have large rooms with both formal and casual spaces. Homes of this era also often come with those extra spaces in the attic and basement that are rare to find in new construction. These older homes are generally set on generously sized lots, with mature landscaping and sweeping, lush lawns. 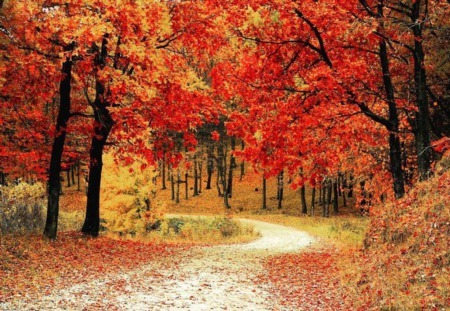 Some homes are within a short walk of Chappaqua's downtown district and Chappaqua Station, and you will find these lots tend to be a little smaller as you near the downtown district. Professionals living in Chappaqua who are traveling to the city during the week, will find the convenience and ease of getting to the train station and traveling on Sawmill River Parkway, a real advantage. Thinking of Selling Your Chappaqua Property? We can help! Use the convenient form below to get started. For those desiring a condensed space with less upkeep, look for Chappaqua condos for sale in communities such as Old Farm Lake, where both garden condos and town homes can be found, as well as Chestnut Lake or Chappaqua Commons. Chappaqua’s business district includes mostly small, locally owned businesses including a hardware store, market, apparel and gift shops. A fairly impressive assortment of dining establishments includes the likes of bistros, diner, café, taverns, and pizza shops. The hamlet of Chappaqua’s parks and recreation department provides an impressive variety of community programs given its small size. Those purchasing homes in Chappaqua will have the opportunity to partake in programs that include dance, adult sports leagues, art, youth athletics and camps, and activities for every citizen from preschoolers to senior citizens. The town of New Castle also operates several area parks including Greeley Woods, Whippoorwill Park, and Glazier Arboretum. Additionally, Westchester County supports several nature areas that provide the open space for horseback riding, mountain biking, hiking, picnicking, and bird watching as well as maintaining paved trails for biking and walking. The Chappaqua Central School District serves students at multiple elementary and middle schools and the Horace Greeley High School. Find more school information on the detail page of each listing.